Larus cachinnans 2CY 531P May 21 2003, Lubna, Poland. Picture: Ruud Altenburg. Green 531P and metal DN12635. 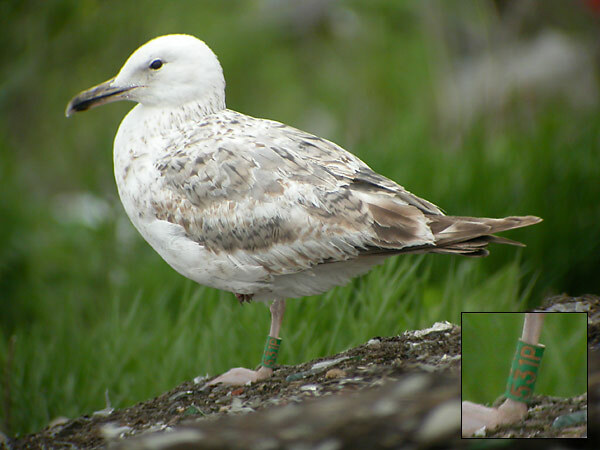 Bird ringed as pullus on May 10 2002 at Jankowice Babice Malopolskie, Poland. Bird in active complete moult: new MC, new inner GC, new LLC and growing upper tertials.